Sliding Doors That You’ll Fall in Love With! While not the front door of your home, sliding doors are still extremely important as side doors in terms of energy efficiency and style of your home. Sliding doors are by far very different from any other kind of replacement doors. They don’t have hinges, and the majority of the door is a large plane of glass. You’ll pretty much never see them as front doors, but if you visit enough houses, you’ll see they make for fantastic patio doors. The people in Greeley, who already have sliding doors,absolutely love them! The downside is that they are much more difficult to install than regular pre-hung doors. They certainly aren’t recommended as a DIY project, and if you don’t have existing sliding patio doors in place, then it can involve tearing down a wall. Luckily for our customers in Greeley, Colorado it’s as easy as making a phone call. Not only will the workers from our window company do all of the hard work for you, but they’ll do it in a very timely manner. That way you aren’t left with a tarp covering a hole in the wall, and you also don’t have to lose an entire day to stay at home for the guys installing your sliding doors. Greeley Window Company doesn’t just guarantee a quick installation of your sliding doors, but a great customer experience as well. The experts our window company send won’t leave a massive trail of mud leading through your home, or any other mess for that matter. We know the fears of hiring people to work in your home here in Greeley, and you won’t experience one while hiring our superior service. While installing your sliding patio doors, our employees will stay in their work area, and will respect your home as if it were their own. Many people love the idea of sliding doors but fear their durability since they are both mostly glass, and don’t use door hinges. The truth is that you have nothing to worry about. The glass that is used for even the most standard sliding doors are meant to handle severe storms and are scratch resistant, so it doesn’t start to look horrible over time. The bearings that are used on sliding doors are produced to be silent, and to continue working as they should for many years. As far as the security of sliding doors goes, the locks on them tend to be even more superior than entry doors. Any intruder trying to break in through your sliding patio doors are more likely to pull the handle first before forcing the lock open. The glass itself is very sturdy, and would require some sort of tool as well as multiple attempts to break. 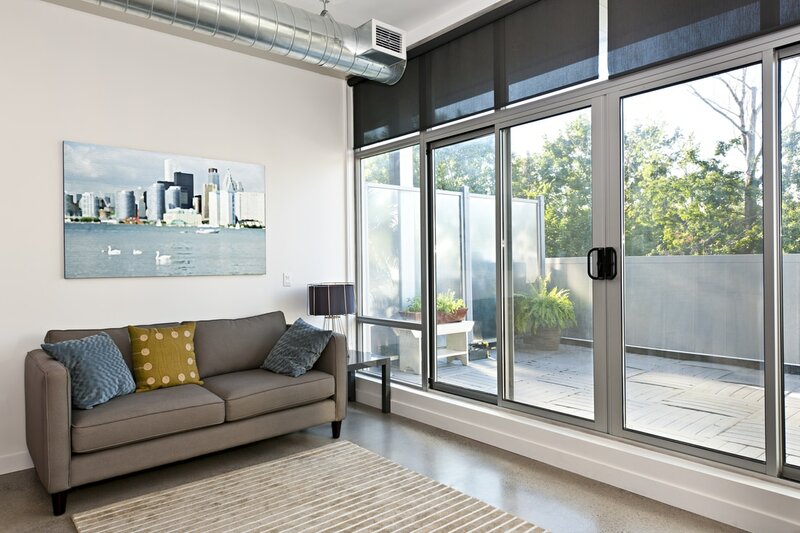 To get sliding doors on your property only takes a free estimate from Greeley Window Company. We’ll discuss the doors we have available, and schedule a visit that’s convenient for you! You definitely won’t find a better estimate from any other window company in Greeley, Colorado. Let us prove it to you today by picking up the phone, and giving us a call at 970-373-1665.